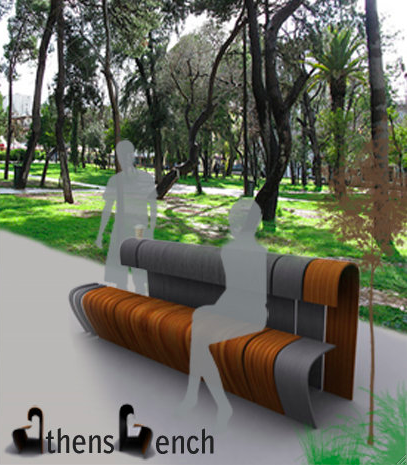 Thanks to the collaborative initiative of The World of Athens, (a non-profit community organization), the city of Athens has experienced days of colorful ideas and creativity that has lifted spirits via re-imagining the bench. 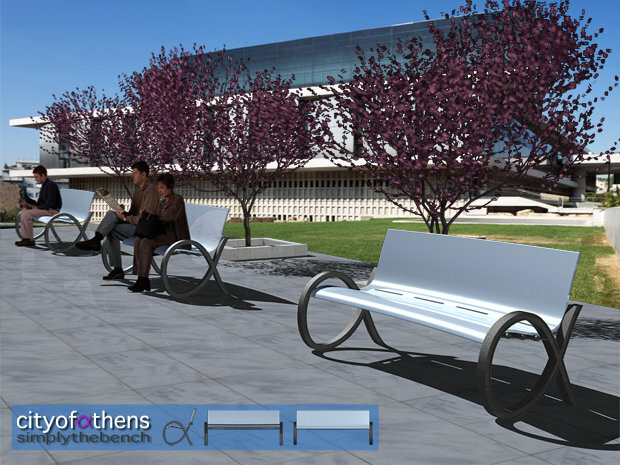 Since last year, The Athens BenchMark Competition was organized by the Athens program entitled Athens 2010. (The program is also sponsors Athens’ Green, Social, Digital, Participatory and Creative development). Young people up to 26 years old, were given the opportunity to unveil their talent and leave their mark on the city. Artists and designers were invited to submit their visual notion of the Future Bench, with an the objective to ameliorate their own lives in their city. 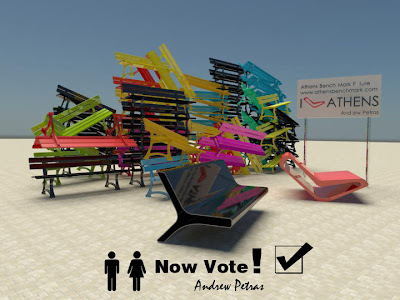 The Athens BenchMark competition involved the public’s interaction, where users could see the submissions online and vote for the best proposals. The result was a success. 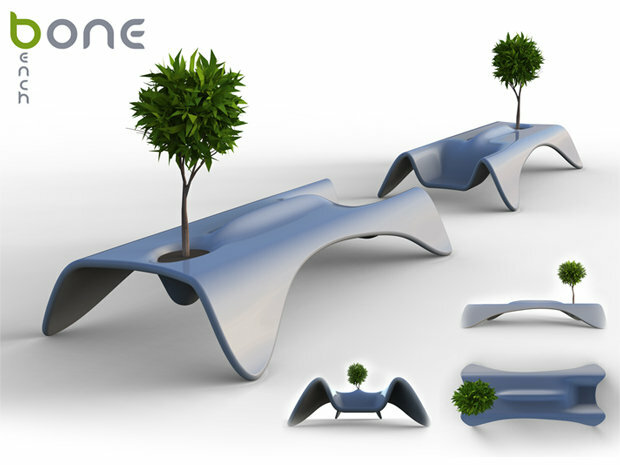 There were benches everywhere, simple or wrapped with rich colors and various dimensions and no limits in technical specifications. Creativity filled the atmosphere in the last months that followed, while the site of the contest www.athensbenchmark.com (not available at the moment) crushed records, with 274,700 visits and 132,700 unique visitors from 133 countries throughout the world. The winners were awarded prize money, 3,000 euros for the 1st place, 2,000 euros for the 2nd place and 1,000 euros for the 3rd place. 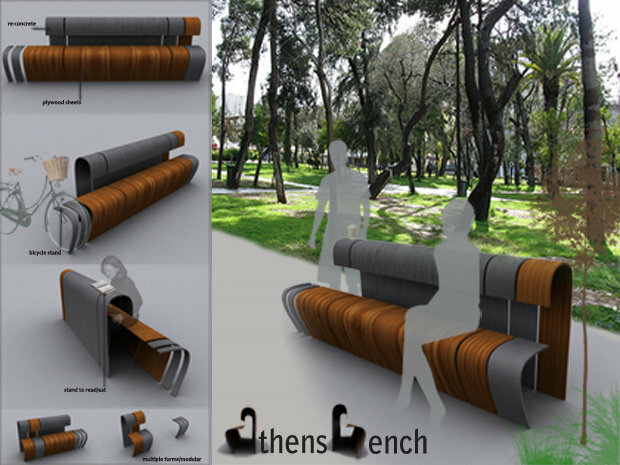 The Athens BenchMark Competition is an example how art and design survives in times of crisis to awaken hearts and minds. Have a watch at the video (above), which showcases the 3rd Prize Winner, Konstantinos Douzis from SunSign Architects, as well as some images of other samples submissions (below). To learn more about The Athens BenchMark Competition and the World of Athens organization, visit: www.theworldofathens.com.